Electric Car Conversion Kit - Convenience But At What Price? Electric Car Conversion Kit – Convenience But At What Price? Gasoline driven cars are becoming a matter of concern because of many factors. First of all, the exhaust fumes expelled by these cars pollute the environment. Secondly, gasoline is a non-renewable source of energy and its reserve is believed to be depleting. Thirdly, gasoline cost is ever on the increase and the common man finds it difficult to afford. So many people are looking for other alternatives to power their cars. Affluent people can afford buying pure electric or a hybrid cars but there are others whose budget doesn’t allow them to buy these costly vehicles. There are also people who don’t like to part with the car they are presently driving. For these people, the best way to go ahead is buy an electric car conversion kit and convert their existing automobile or a donor car into a pure electric vehicle (EV). There are two types of EV conversion kits. One of them is meant for converting a car into a completely electricity driven car and the other one is to convert a car into a hybrid variety. Both the kits have their own special features, merits and demerits. 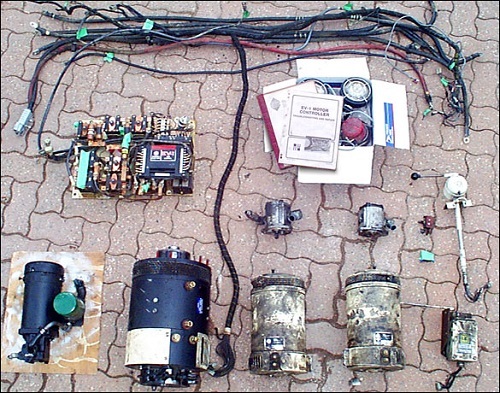 Basically, both the conversion kits contain an electric motor, car control systems and batteries. Some of the batteries can be charged with the help of the engine of the car whereas others are to be charged from the mains electricity using a plug in cord. There are some people who are skeptical about the efficiency of the converted cars. They allege that converted cars aren’t as good as company made electric or hybrid cars and that some of the safety mechanisms of the donor car are spoiled while converting the car into an electric car. As new car conversion technologies are introduced and more people are coming forward to convert their cars into electric cars, these allegations have been proved baseless. As a result, an increasing number of people are now looking for electric car conversion kits. Another allegation against a converted car was its speed and pulling power. There are no evidences to prove that converted cars have less pick up and speed compared to gasoline, electric or hybrid cars. The new conversion technology has made the converted cars as good as any other type of electric powered car on the road. An added advantage of a converted car is that you don’t pollute the environment when you drive it. Once you convert your car into an electric vehicle, you will be able to save a lot of on fuel since you don’t have to buy gasoline any more. The owner of a converted car can be proud of being an environment friendly driver. If your car is converted into a hybrid car, you get the benefits of both a gasoline car and an electric car. You can drive the car using gasoline and in case the gasoline finishes on the mid-way, you can reach the refilling station using the electric power from the battery. An EV conversion kit is totally reliable. Once you convert your old gas guzzler into an electric car, it gets a face-lift and at the same time, allows you to drive around free of cost and in a nature friendly manner. How can you reduce the cost to convert a regular car into a pure an electric vehicle in your home garage? 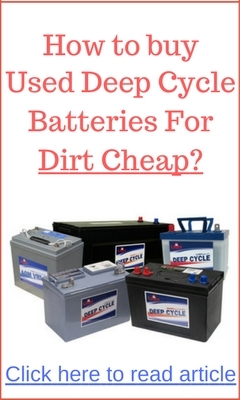 One option you can consider is to use old deep cycle batteries from electric golf carts. Most probably, these batteries would have been dead or would not hold a charge. 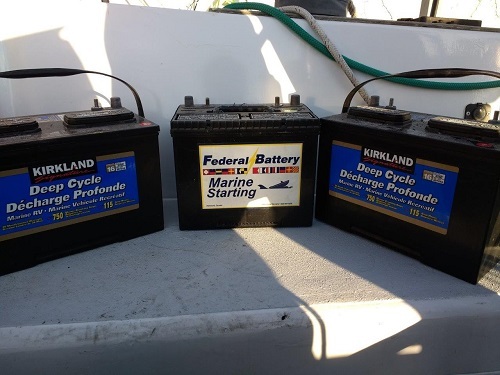 How do you bring a dead deep cycle battery back to life. Click on the link below to learn the technique and tools your will need. What is your budget? You will need a minimum of $7000 for the conversion. I am interested in converting a motor home to electric propulsion. Using a deisel or propane generator for charging the batteries. I am thinking a class A or B motor home.